We're all after that elusive whiter smile, the one similar to everyone we see on Instagram and social media. For as long as I can remember I have been trying to whiten my teeth and keep them so - I've had a lot of work done on my teeth ever since I was a little girl so I feel now's the time to try to brighten my smile. Everywhere I look these days I see women with beautifully white smiles and straight teeth, something I lack unfortunately. 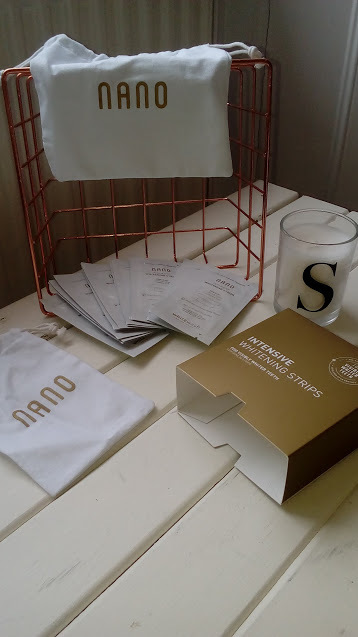 I have been on the lookout for products to help whiten my smile and recently I have been trialling White Wash Labs Whitening Strips and have found them to be easy to use, fuss free and perfect at giving me a whiter smile. Sometimes though a more in depth treatment is needed and this is where your dentist comes in - they can use stronger treatments. 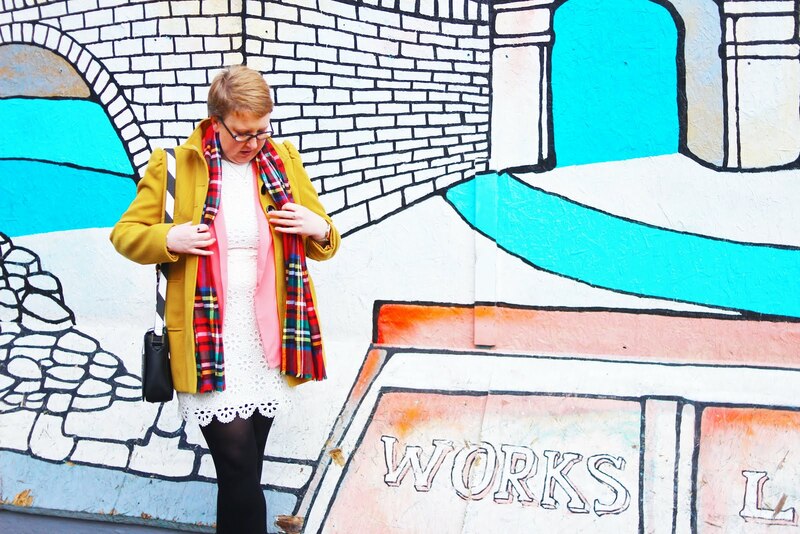 I personally have never had any whitening treatment from my dentist but I would consider it if over the counter whitening treatments like Whitewash Labs weren't cutting it and I felt I needed a more permanent solution. I have written previously about how I maintain a whiter smile, using a mixture of a whitening mouthwash, whitening toothpaste and floss sticks. 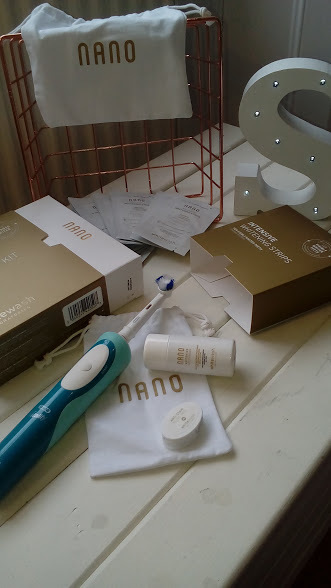 I find these products work really well for me at the moment and until I find a more permanent solution I am happiest taking the time everyday to look after my teeth. My Grandma has always said that it's important to look after your teeth, eyes and feet in life and I can't help but agree! "WhiteWash Labs are an award winning provider of innovative premium quality teeth whitening and oral care products, which have been developed and formulated by leading UK dentists" so you can be assured that you're getting the very best at home treatments which are completely safe to use yourself. I love anything like this which doesn't require me to leave the comfort of my bed/sofa/bath to look and feel better! WhiteWash labs make it easy to achieve and maintain a whiter smile with their collection of products - from whitening strips, floss, toothpaste, mouthwash and even whitening trays. I have been using the strips for a week now and I have found them to help whiten my teeth by up to 2 shades which is amazing! Whenever I find something which helps me out like this then I am all for raving about it, especially when so many other people have been using them and getting great results too! I am yet to trial their 'boil and bite' trays with whitening gel but I'm sure these will be just as successful and will hopefully garner a more long lasting result. Whitening toothpastes use special micro-polishers to help remove the surface stains restoring teeth back to their natural whiteness and the Nano range of whitening products help to whiten teeth through chemical whitening. Their advanced enamel care technology uses their patented hydroxyapatite ingredient crystal that has the ability to re-harden softened enamel which is on the rise and worrying dentists because of our addiction to fizzy drinks and sugar. This is why using a fluoride toothpaste and mouthwash combination is so important such as the ones I have been using from WhiteWash Labs. As long as you limit the amount of sugary foods/drinks in your diet your teeth will thank you and you can continue to use whitening products to dazzle your friends! But perhaps you're after a stronger, more permanent, bright white dazzling smile? This is definitely something which is entirely possible and would just require an appointment to chat everything through and ensure that your dentist understands exactly what you're after. You should of course check first that your chosen dentist has all the proper qualifications and insurances to be treating you in the first place, should anything go wrong you would need these to be able to garner a quick result should you want to sue them for negligence. But normally, nothing goes wrong and you can rest safe in the knowledge that you're in safe hands and can walk out with that Hollywood smile you've been dreaming of! I love the ethos behind WhiteWash Labs, all of their products are suitable for vegetarians, vegans and are all cruelty free as well as being fully developed by UK dentists, so you can rest assured your teeth are being very well looked after. I have tried other whitening strips and even a oil pulling kit but neither of these had the same backing from the UK dentist industry, therefore I didn't feel as safe using them as I did these strips from WhiteWash Labs. Like I said before I have had more visits to the dentist than I would ever deem necessary to anyone but thankfully the only concern with my teeth is slight yellowing and the potential for gum disease which is being sorted with correct brush techniques and regular appointments. I now wish to correct the yellowing by continually using these whitening strips and their 'bite and boil' trays. I'm looking forward to getting a whiter smile! Have you used their products before? Or have you had professional whitening done by a dentist? Have you ever suffered negligence at the hands of your dentist?